Please note the last game jersey fitting will take place Saturday April 27th in the Fleet room (basement) of the Belmont public library from 10am-12pm. If you want to try on a jersey before selecting your size, please stop by, it should only take a couple minutes. Also, please see atatched jersey order form. If you would like to order your child a new game jersey for next season and haven't done so, mail the completed form and check to Michael French 67 Fairmont St Belmont MA 02478 by 5/1/19. Lastly, if your child is a Mite or younger they do not need to order a game jersey. BYHA provides uniforms for Mites and younger. Thank you. As we receive information on spring and summer camp and skills sessions, we post them on the Summer Camps tab on the BYHA site. 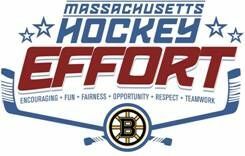 Belmont Youth Hockey Association, Inc. is a tax- exempt private foundation pursuant to Internal Revenue Code section 501( c)(3), run by volunteers and dedicated to the development of the youth of Belmont, Massachusetts since 1975.